The food served at Laluna is very personal to us. Laluna’s owner Bernardo Bertucci is from Calabria in Italy, and every year, he and his wife, Wendy Bertucci travel through the region looking for new ideas and treats to offer Laluna guests in Grenada. This year, they discovered a brand of pasta called Pastificio Artigianale and its specialty pasta line Le Specialità del Conte. The line is distinctly Italian; you can tell Andrea, the owner of Conte Pasta, is Italian, just look how he talks with his hands. This Calabrese brand follows the same high quality of the other southern Italian goodies offered to Laluna guests. The variety of pasta offered from the Conte line include linguine, shell, and rigatoni. While the pastas are shipped worldwide, they are uniquely Italian. 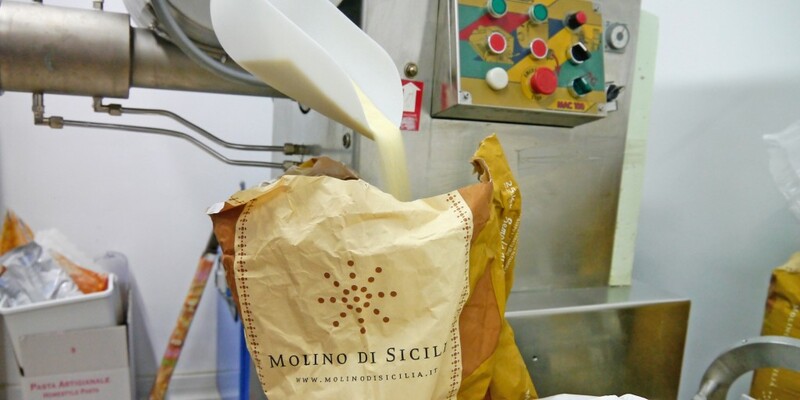 Molino di Sicilia, a special Italian flour from Sicily, is used as a base ingredient for all Conte Pastas. Milled just miles from the sea, the flour is made from the highest quality grain in the region. Laluna’s menu offers a variety of dishes utilizing Conte Pasta at our Grenada restaurant. 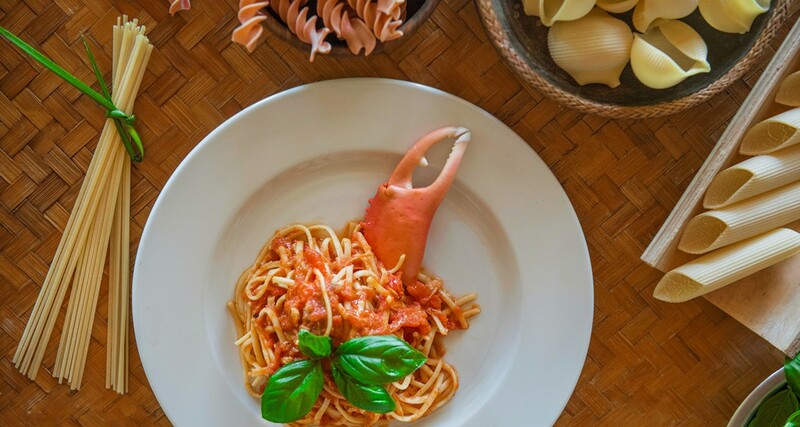 A guest favorite is the Sea Crab Linguine, which features deep sea crab meat sautéed with olive oil, sweet peppers, and tomato sauce. The dish pairs beautifully with a glass of Ciro Bianco DOC, which, keeping true to our Calabrian connection, is from Tenuta Iuzzolini.